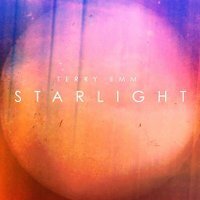 Bedfordshire singer/songwriter Terry Emm’s third album ‘Starlight’ is an unabashedly sentimental collection of love songs, ranging in mood from reflective and wistful to sweetly uplifting. Following the admittedly dark mood of his previous album, 2012’s ‘Petals Fallen Off The Sun’, Emm says in the press release for ‘Starlight’ that he “was trying to get out of quite a dark place…and was needing a new approach creatively”. To that effect, he found himself collaborating with two musicians who had inspired him in the past, producer Michael Clarke (formerly of the band Clarkesville) and violinist Calina De La Mare (Sophia, Tindersticks). While the dominant flavor of ‘Starlight’ is acoustic folk with minimal song structures and simple, straightforward lyrics, Emm has allowed Clarke and De La Mare to tincture the sound with their touches of their own style. De La Mare’s sensitive string arrangements are featured throughout the album, especially on opening track ‘Wilderness’ and standout track ‘Loved and Never Lost’ (video below). Clarke’s pop/rock sensibilities can be heard in the upbeat ‘Forever and After’ and the groovier ‘Resound’. Emm further tinkers with different musical choices in the bluesy guitar riff to ‘Is There an End to Your Love’. Aside from those songs, however, there is surprisingly little variety on ‘Starlight’. The simplicity of the melodic lines is saved from monotony by the elegantly played acoustic guitar, but the unadorned vocal and musical phrases become a bit repetitive over the course of the album. The song structures are very basic and the pop style repeated choruses feel a bit lacking in dynamics and intensity. Emm’s lyrics, while sweet and sincere, are similarly plain. The title track opens and closes with a poignant lyric, “It’s too late when I find you gone…”; otherwise his words are not particularly poetic or compelling. Unfortunately the square, undeveloped melodic lines amplify a couple of moments where the prosaic text doesn’t quite fit into the rhythm. Emm’s vocal delivery is likewise earnest but slightly awkward, with a slightly nasal tone that leans more toward declamatory speech than expressive singing. Some variety in either poetic choices or vocal timbre would have made a big difference, I suspect, in the overall mood of the album. The final two tracks on ‘Starlight’ are among the prettiest of the 10 songs. The string melody behind the vocals in ‘Jetstreams’ illustrates the dreamy quality of the lyrics possibly better than the words themselves do. The delicately arranged, quietly sung ballad ‘Sunset’ is a perfect choice to draw the album to a close. Terry Emm’s poetry and vocal style may lack somewhat in elegance, but their straightforward expression is nonetheless heartfelt. Despite its shortcomings, ‘Starlight’ left me with a warm, mellow feeling that only the coldest of hearts could resist. ‘Starlight’ is available now on London boutique label Azez Records.